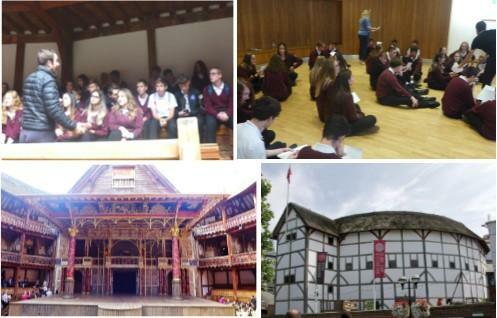 To prepare for their English Literature exams, one hundred Year 10 and 11 students made their way to the Globe Theatre in London for a range of workshops. Collaborating with Shakespearean educators and actors, students immersed themselves in the language and context of Macbeth. A highlight of their visit included a tour of the inner sanctum of the stage itself. Discussions were had about the interplay of light, the importance of positioning and of course, where the best seats in the house were. After lunch in the beautiful autumn sunshine and a chance to stretch our legs on the Embankment, students headed back inside for a series of workshops. Many embraced the opportunity to perform, and enthusiasm was high as we worked through a range of dramatic techniques to explore key scenes. Our day came to an end in a rather fitting way as we headed into the London traffic, but not even this could dampen our spirits of what had been a fantastic learning experience. A big thank you to the Year 10 and 11 students who made this trip a success!